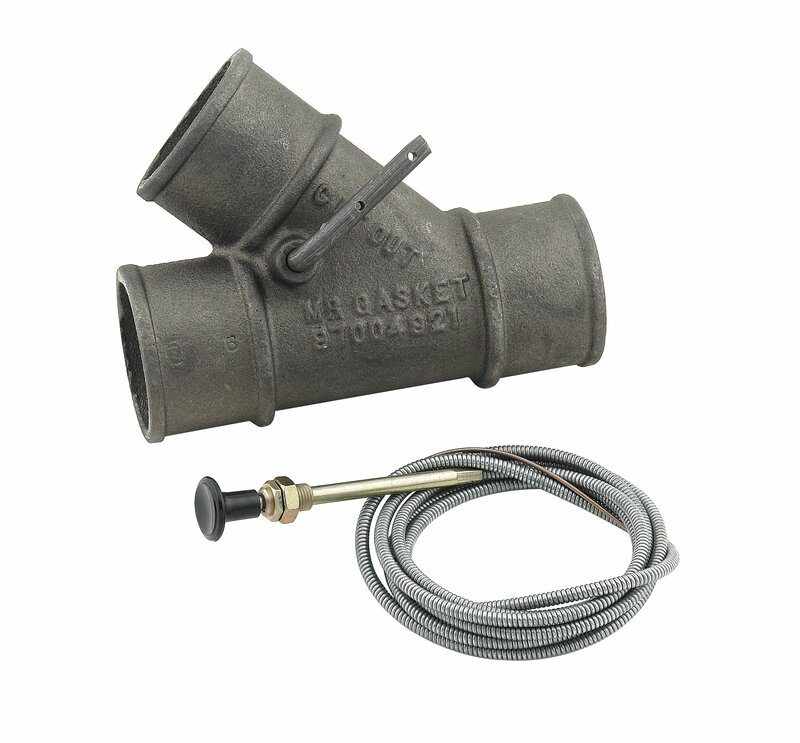 Made from durable cast iron, the exhaust cut-out will accept 2" OD exhaust pipes. WELDING OR BRAZING REQUIRED! This cut-out can also be used with other sizes of exhaust w/ adapters/reducers (purchase separately). You can manually control the sound and back pressure of your exhaust system with Mr. Gasket cast iron exhaust cut-out with cable. Manually control your exhaust flow through stock exhaust, thru a muffler, or out of a straight pipe. Accepts a 2 in O.D. pipe and brazing is required. Includes built in flapper valve. End to end of the straight section is 6-1/2"